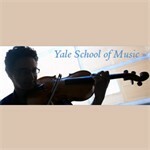 The Yale in New York concert series, directed by David Shifrin, closes its 2011-2012 season with De Profundis: The Deep End, a concert of music for low instruments. The bassoon, tuba, trombone, cello, double bass, and sackbut all take center stage in this performance. Faculty performers – including Frank Morelli, bassoon; Scott Hartman, trombone; Donald Palma, double bass; Ole Akahoshi, cello; and Ransom Wilson, conductor – will be joined by students and alumni on the stage of Weill Recital Hall at Carnegie Hall. The program will be presented twice: in New Haven on Wednesday, March 28, and in New York City on Sunday, April 1 (for real). 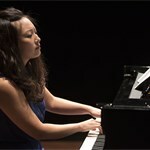 The Wednesday concert begins at 8 pm in Morse Recital Hall (located in Sprague Hall at 470 College Street). The Sunday concert begins at 7:30 pm in Weill Recital Hall at Carnegie Hall. The program opens with Mozart’s Duo for bassoon and cello in B-flat major, K. 292, with bassoonist Frank Morelli and cellist Ole Akahoshi. Two pieces by Krzysztof Penderecki will follow: the Serenata for three cellos (2008), performed by Akahoshi with Arnold Choi ’11MM and Sungchan David Chang ’13MM, and the Capriccio for solo tuba (1980), played by Jerome Stover ’11AD. In Jacob Druckman’s Valentine for solo double bass (1969), faculty performer Donald Palma will woo his own instrument. Druckman was a member of the School of Music composition faculty from 1976 until his death twenty years later. The first half will close with bassoons: Frank Morelli will join with his students to perform Prokofiev’s Humorous Scherzo for bassoon octet (1912) and Bach’s Toccata and Fugue in D minor, arranged for bassoon ensemble. The second half of the concert will open with Heinrich Schütz’s Fili mi, Absalon for four sackbuts (precursors to the trombone) and bass voice. Bass-baritone Taylor Ward ’12MM will perform the piece with Scott Hartman and members of the trombone studio. Modern trombones will make an appearance in Bruckner’s Two Aequali for three trombones (1847). The concert will culminate in Sofia Gubaidulina’s Concerto for bassoon and low strings (1975), featuring Frank Morelli as the soloist and conducted by Ransom Wilson. The cellists will be Arnold Choi ’11MM, Sungchan David Chang ’13MM, Alvin Wong ’11MMA, and Mo Mo ’11CERT; the bassists will be Mike Levin ’11MM, Nahee Song ’13MM, and Nick Jones ’13AD. Gubaidulina was awarded an honorary Doctor of Music degree from Yale University in 2009. Admission to the preview concert in Sprague Hall is free. Tickets for the April 1 performance are $15–$25 and can be purchased at the Carnegie Hall box office (57th Street and 7th Ave.), by calling CarnegieCharge at 212/247-7800, or at www.carnegiehall.org. Student and senior discounts are available.